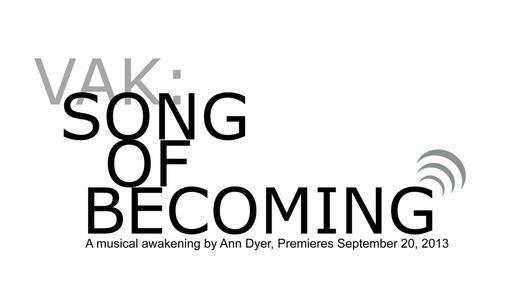 Vak: Song of Becoming is a contemporary musical performance piece created by vocalist and naada yoga instructor Ann Dyer which explores the profound relationship sound — and particularly voice — has on our experience of being. Built on a large choir of “everyday” voices Vak: Song of Becoming celebrates song as a force of life and voice as as an expression of our deepest identity. We invite you to join the Vak Choir in what promises to be a unique and transformative experience for trained singers and the unintiated alike. • Full-body resonance. • Classical Indian Raga singing. • Singing in community. • Bija mantra meditation. • Devotional chanting. • Use of mudras. • Vedic mantra recitation. • Deep Listening. • Things you never dreamt of. Registration: Vak Choir Members will be selected from those who have participated in the Performance Workshops, however, please note, you may participate in Performance Workshops without wanting to perform in final concert. Performance Workshop fees go toward rental space, materials and cost of administration, and have been kept low to accommodate all those interested in participating. Some scholarships available based on need.